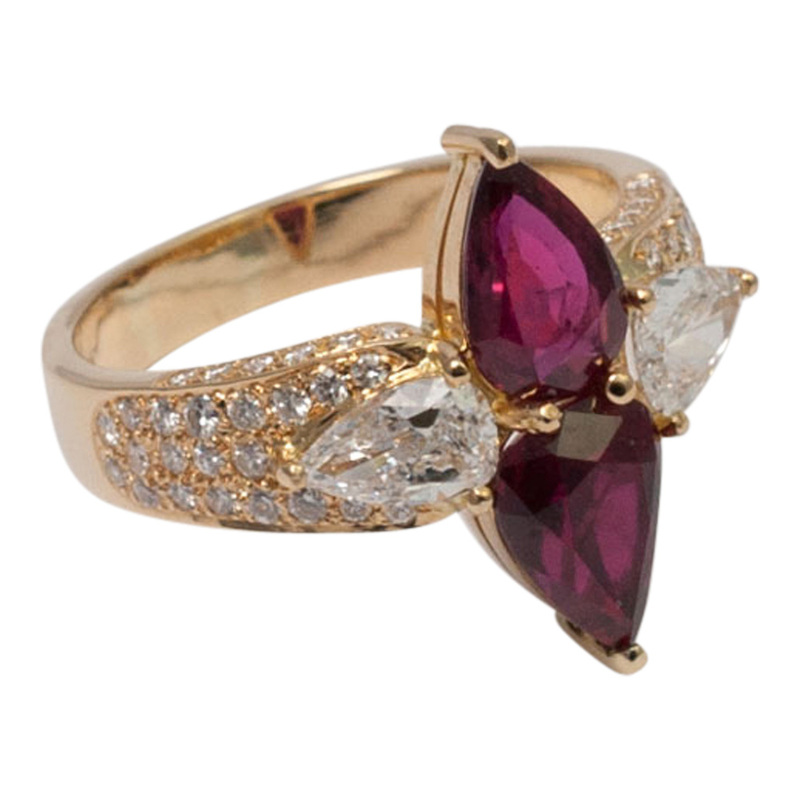 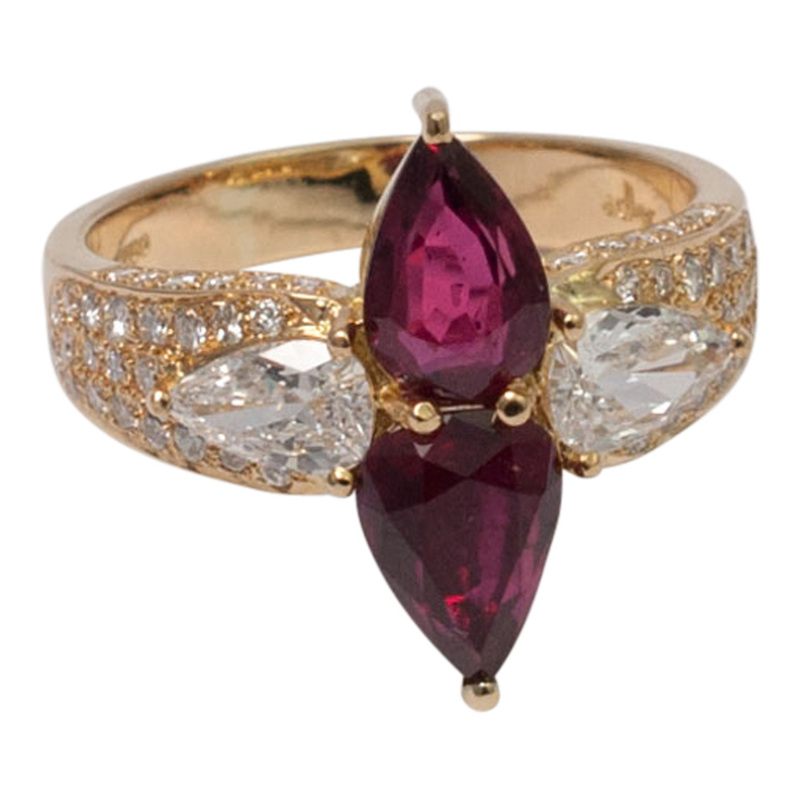 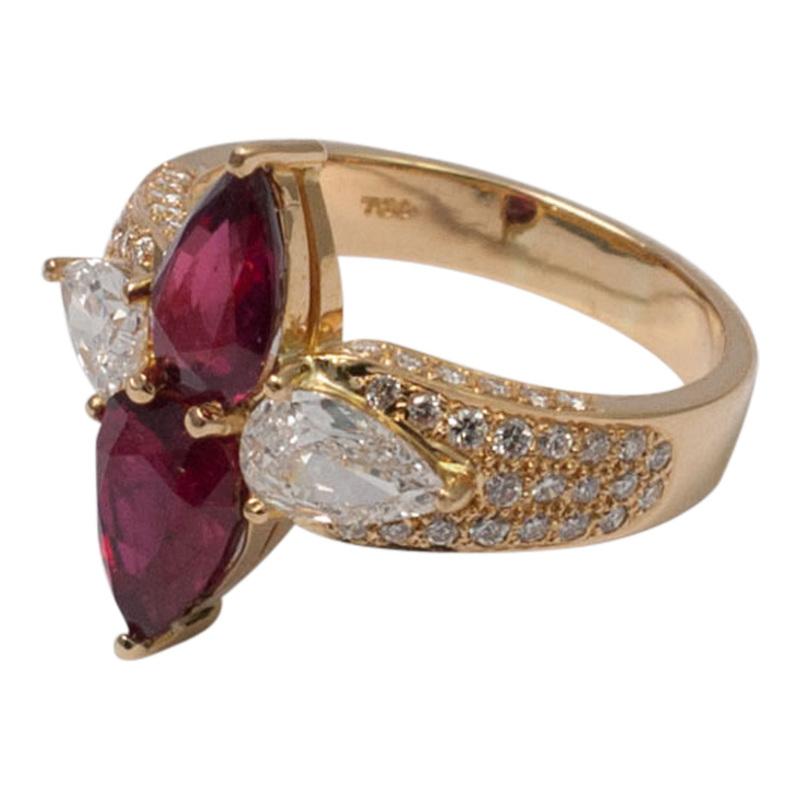 Beautiful double ruby and diamond ring by the exclusive jewellery house, Adler. 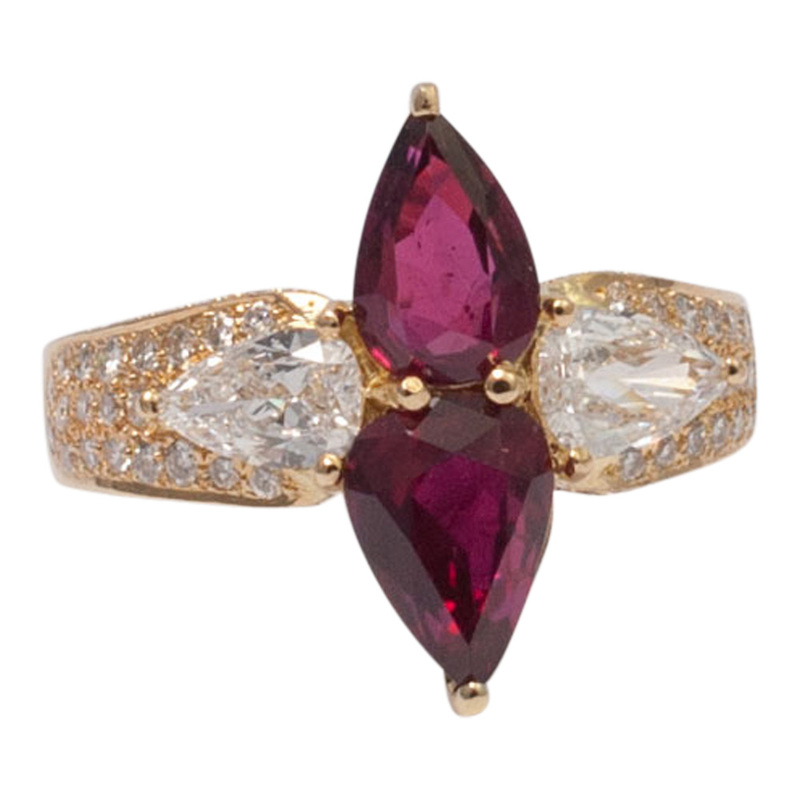 The two, deep blood red pear shaped rubies weigh 2.80ct; on each side of the rubies is a 0.40ct pear shaped diamond of very high colour and brilliance with a further 1.28ct of brilliant cut diamonds decorating the shoulders and sides of the ring. 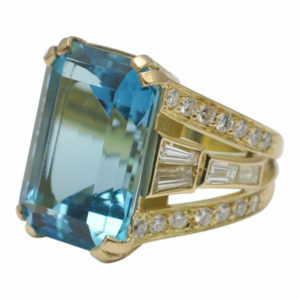 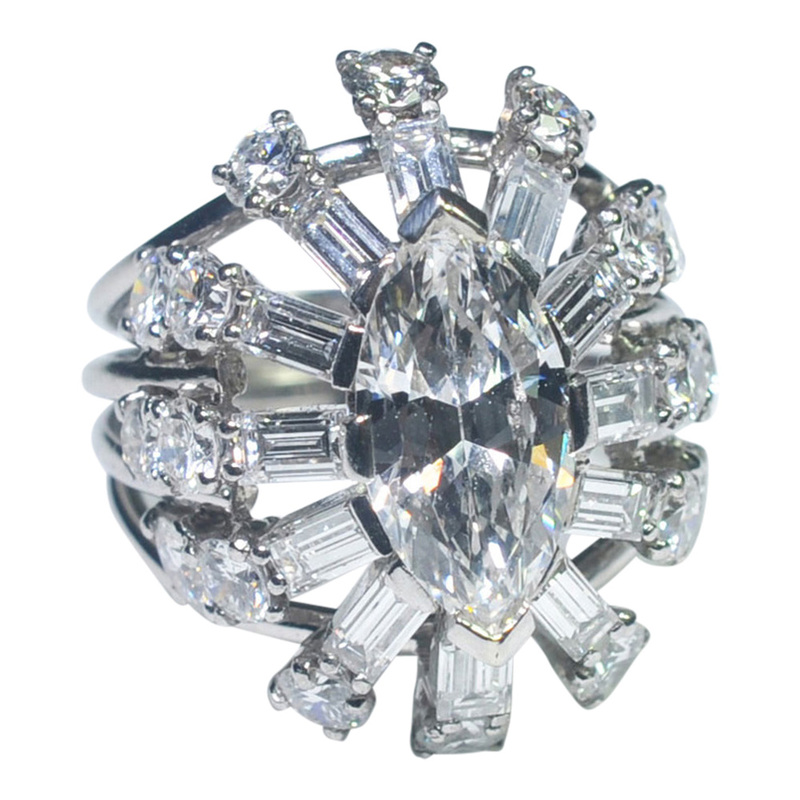 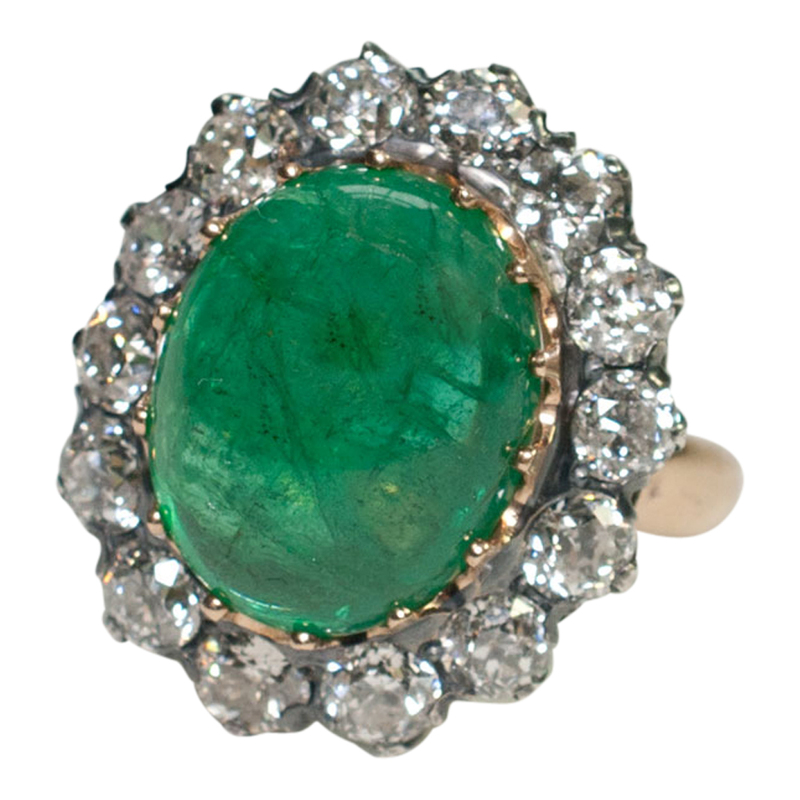 This is a ring of exceptional quality as befits the house whose name it bears. 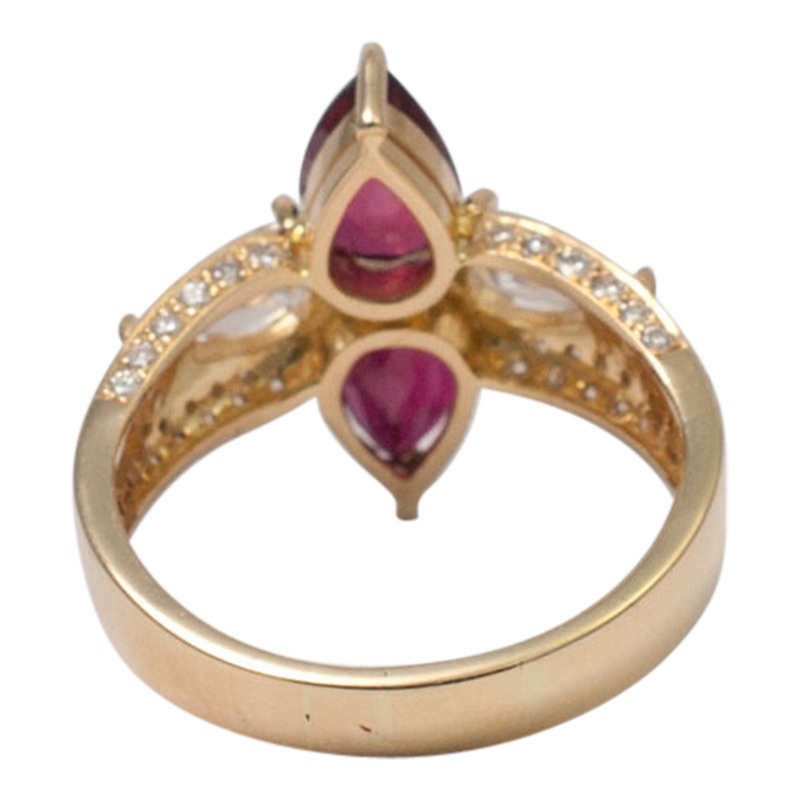 It has been thoroughly polished and cleaned with all the settings having been checked and is in excellent condition. 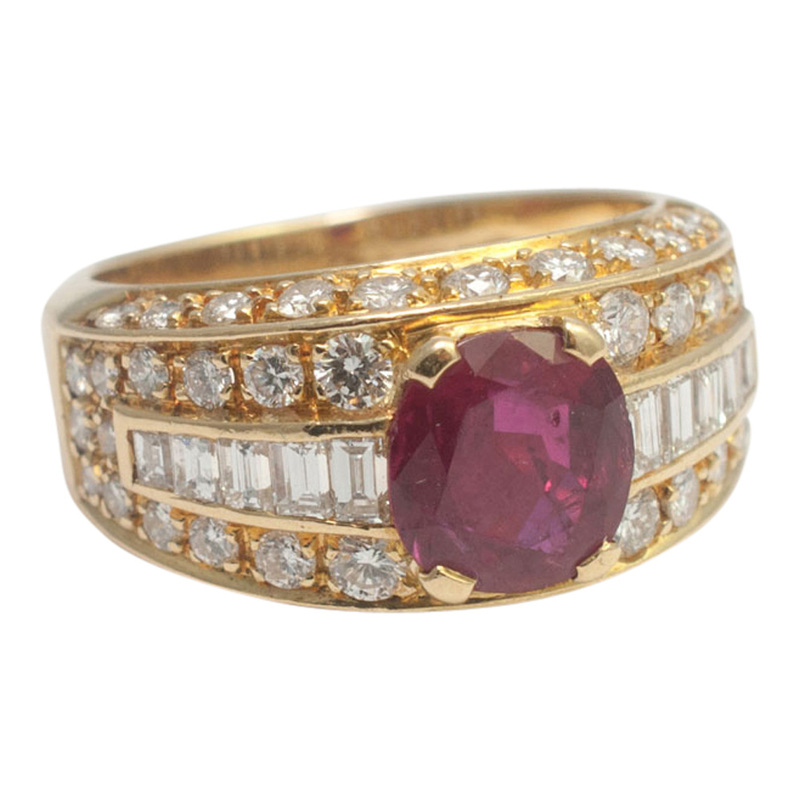 This would make a great ruby wedding ring for the discerning lady! 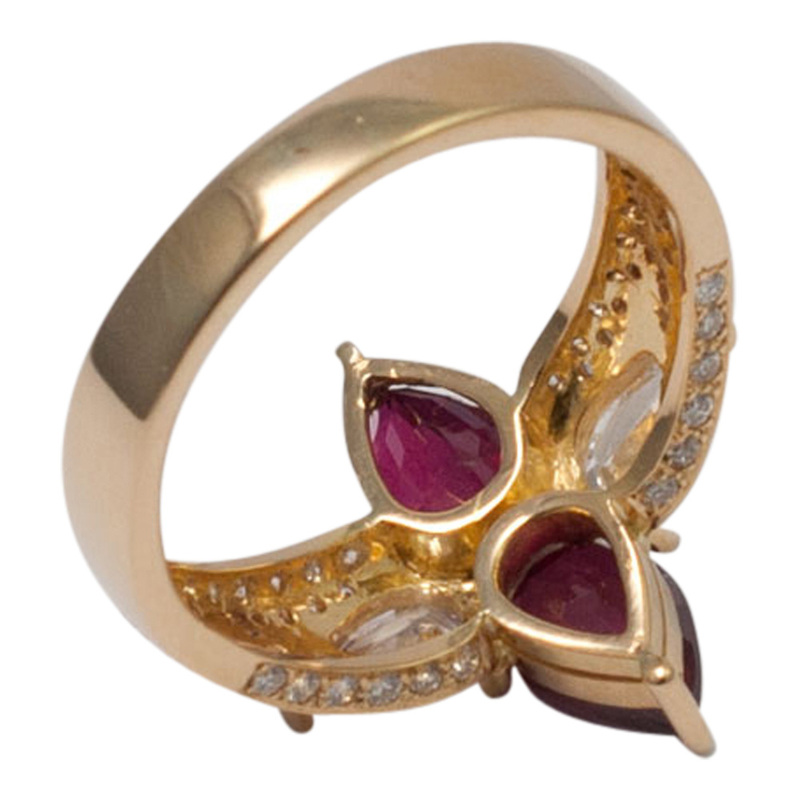 Signed 750 (18ct), Adler. 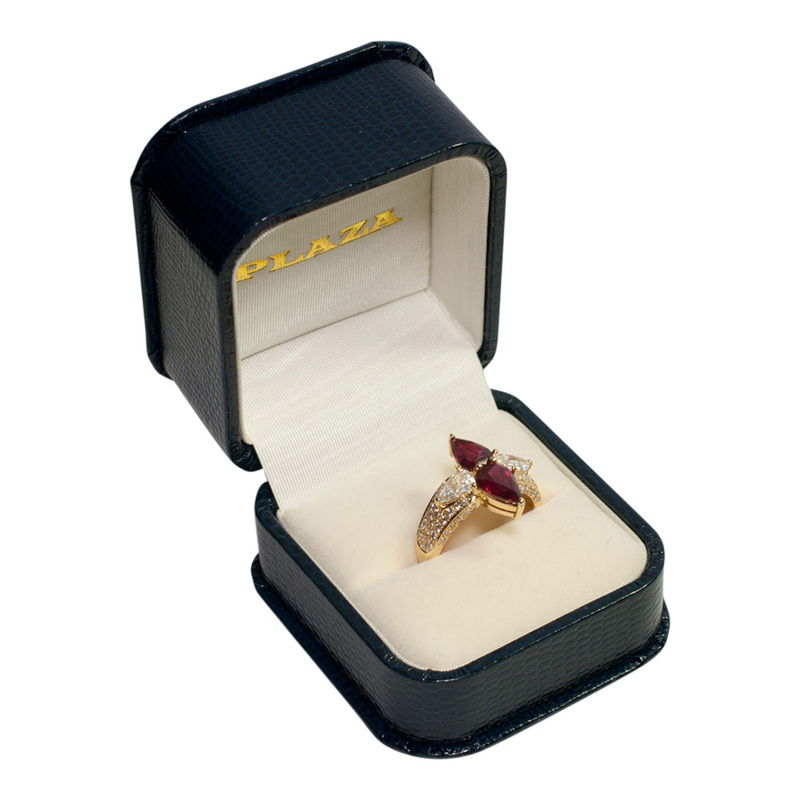 Finger size Q (UK), 8.5 (US), 58 (EU). 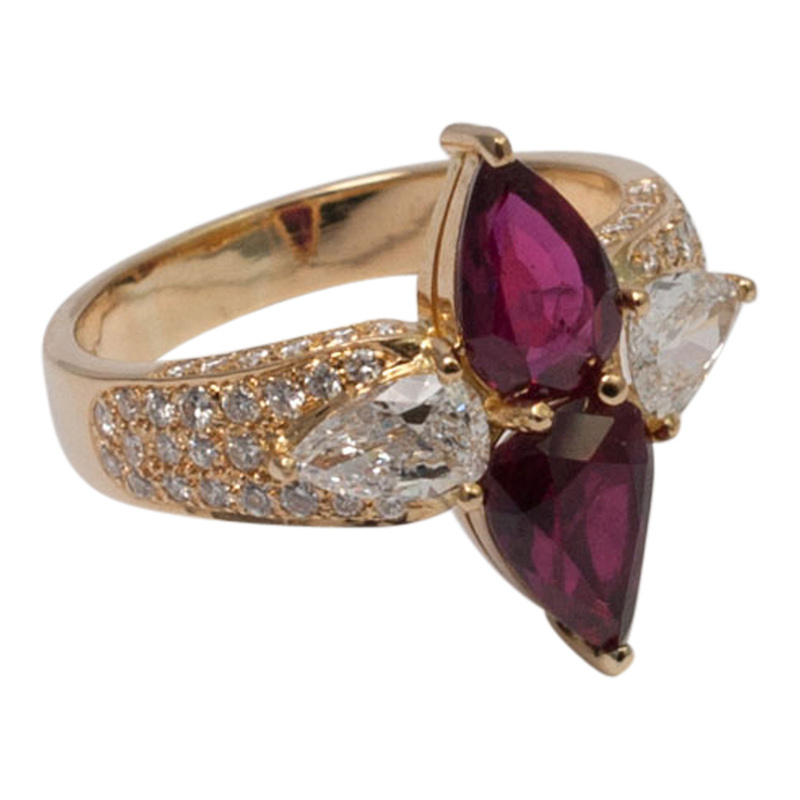 SKU: D122 Categories: Adler, Diamond, Gold, Rings, Ruby Brand: Adler.